At the Ljubljana Music Conservatory, where he currently works as Professor of Jazz Trumpet, he attended the department for classical and jazz music. He later continued his education at the University of Graz(Austria), where he completed his Master’s degree in 2009 under the mentorship of Professor Edvart Holntaner and alongside other trumpet players, including Stjepko Gut, John Swana, Charles Toliver, Dave Rodgers and Erik Vloemians. He has recorded over 30 albums in collaboration with different groups across a range of genres. He is a regular member of the European Movement Jazz Orchestra since 2008, with whom he released a record at well known label Clean Feed in 2011. His music debut “Motion In Two Dimensions” – a duo with pianist Marko Črnčec – was released in 2010. The record presents their interpretations of well-known jazz standards. You can follow him on: Official page , Twitter, YouTube & Soundcloud. Check also his TOP5 selection. 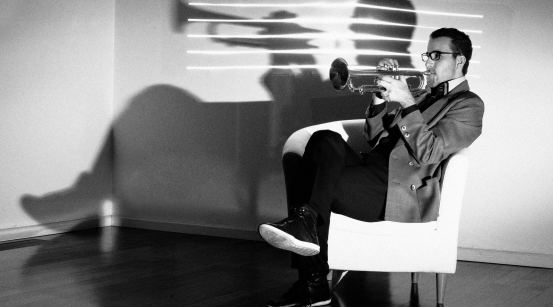 Igor Matković’s established the group “SONIC MOTION” in 2011, leading as trumpet player, composer and arranger. Besides Matković, the other group members are Robert Jukič – bass, Marko Črnčec – piano and Fender Rhodes and Vladimir Kostadinovič – drums. 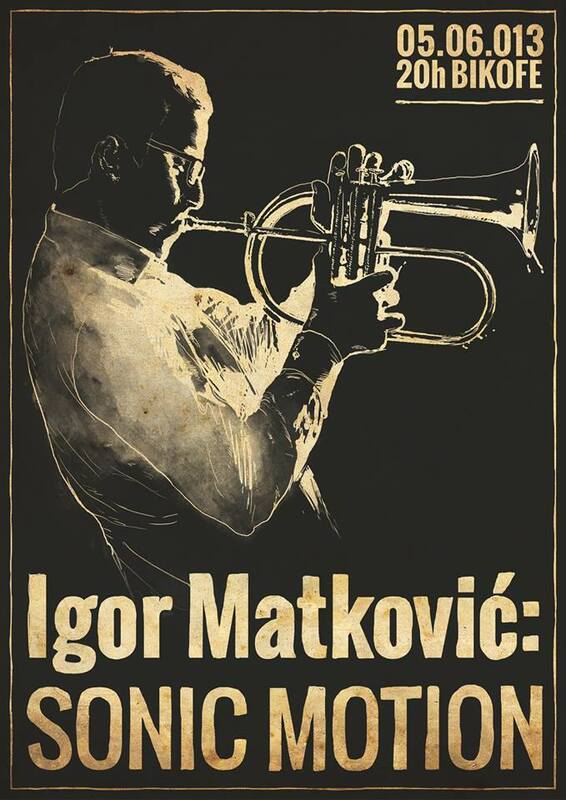 This time Matković presents original music whose foundations lie within a broad concept of jazz. Second album titled ” SONIC MOTION” was released in 2012. You can listen to the presentation of album on national radio here. The songs were created during half an hour of free improvisation. By talking before recording, we designed a concept and then with insight of the present state of mind we moved between different emotions and reacted to them. Our music moods, now soft and bright, then sinister, threatening and wild became caught in the universe sound dimension. »Sonic Space« is the reflection of the ambivalent, floating and rhythmically non-defined musical pattern which creates a kind of musical foyer. From here, the improvisation escalated and drew near a chaotic (de)valuation of the concept in the culmination, captured in the song entitled »Approaching Chaos« where, taken away from totality, it functions as an independent part. across a range of genres. You can follow him on: Official page , Twitter, YouTube & Soundcloud. Check also his TOP5 selection. Igor Matkovič was already guest on our blog in TOP5 section. Today we will present his music. You can follow him on: FB, Twitter, YouTube & Soundcloud. concept of jazz. Second album titled ” SONIC MOTION” was released in 2012. You can listen to the presentation of album on national radio here. First single from the album – Intuition – very cathy song, that you just want to listen again & again. He also collaborated with artists like; Magnifico, Gal Gjurin, Glam , Fake Orchestra & many others.